Ariel Helwani of ESPN reports that Australia’s Tai Tuivasa and Tyson Pedro have both signed new six-fight contracts with the UFC to keep the Australian MMA boom present in the promotion. Tai Tuivasa is a name that is quickly becoming more recognizable by the fight. 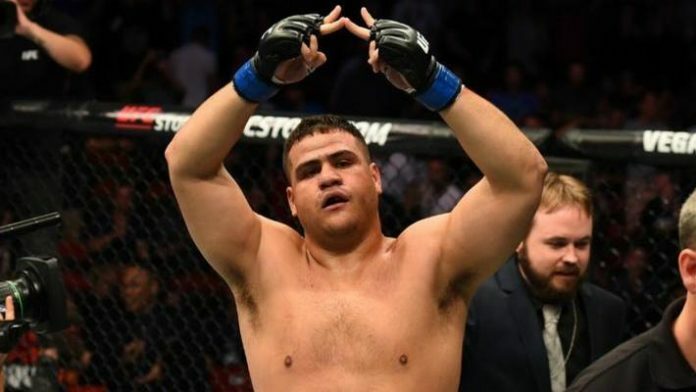 Tuivasa is yet to be defeated, with an 8-0 record in the sport, and is 3-0 in the UFC, with his first two wins in the promotion (Rashad Coulter and Cyril Asker) coming by way of KO/TKO. Tuivasa’s colorful, shoey-taking personality has won him many fans both from afar and up close and (very) personal. Most recently, Tuivasa defeated former UFC heavyweight champion, the legendary Andrei Arlovski by unanimous decision at UFC 225. At only 25 years of age, Tuivasa has shown extraordinary potential to become a memorable character in the UFC for years to come, accumulating more and more fans with each impressive victory and shoey along the way. This new contract will give him every opportunity to do just that. Though coming off a loss to Ovince St. Preux at UFC Fight Night: Cowboy vs. Edwards, Tyson Pedro has an above .500 UFC record at 3-2,. At only 26 years old and with a new contract, Pedro has plenty of time to fulfill the potential many have seen in him. Each of Pedro’s seven professional wins have come by way of first-round stoppage, which explains why many have hoped the Aussie will be someone who can help bring new blood desperately needed in the light heavyweight division. When asked what it means to fight in the UFC, Pedro told UFC.com, “Fighting was the first thing I learned growing up. I’ve been watching the highest-level fighters compete in the UFC since I was a kid and to now say I am a part of a company that I’ve always dreamed of being a part of is still a bit surreal.” After signing this new contract, Pedro will remain unwoken in his prolonged dream state. What do you believe the ceiling is for Tai Tuivasa and Tyson Pedro in the UFC?